Story Loris knitted booties and baby hat set in cotton. 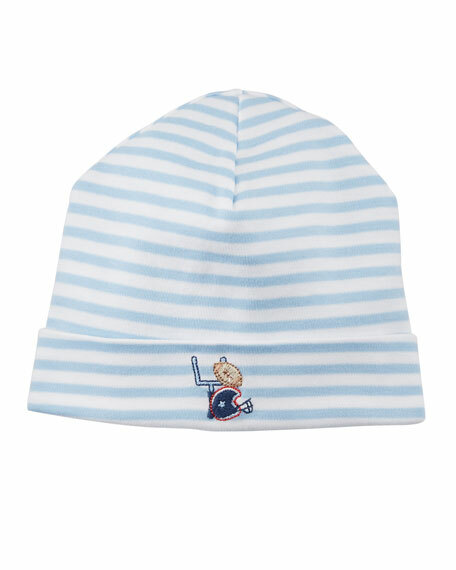 Kissy Kissy striped baby hat from the Fall Sports collection. Football embroidery at folded brim. Fitted style. Pima cotton. Made in Peru. 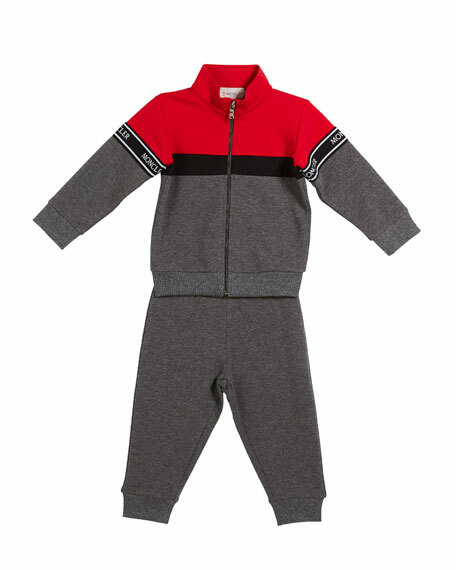 Moncler "Completo" two-piece jacket and jogger set. 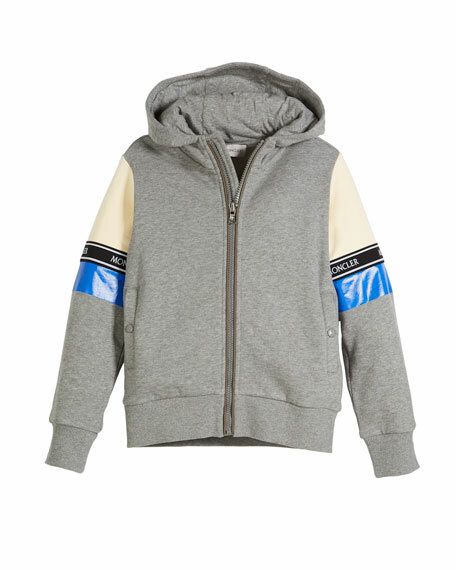 Hooded collar; zip-up front. Long sleeves; colorblock logo text. Ribbed cuffs and hem. Relaxed silhouette. Includes matching jogger pants. Side stripes down legs. Cotton base fabric. Imported.